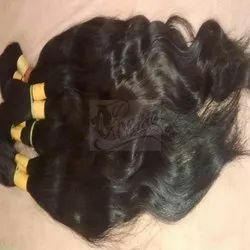 Our product range includes a wide range of indian virgin hair extensions, virgin indian human hair, indian remy virgin unprocessed 9a human hair, unprocessed indian hair weft, natural wavy temple hair extension and virgin temple human hair. 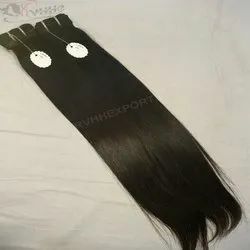 We are leading manufacturer of Indian Virgin Hair ExtensionsWe supply to sell wholesale Indian hair in India without any mixing. This hair is authentic, remy virgin human hair. We offer to sell low prices in the market. We sell high quality Indian natural hair with natural color. This natural color hair can be dye and bleach to change the color of the hair. It’s available in 10 to 30 inch hair lengths. It is 100 % temple raw hair. These hairs can be easily restyled. It is natural human hair with natural shine and smoothness. We are ranked amidst the prominent manufacturer, exporter, wholesaler & supplier of Virgin Indian Human Hair. Our provided hair is processed by our skilled professionals under the utmost hygienic conditions as per the set industry standards. We offer this hair in different length and colors as per the varied demand market. Our offered hair gives a very different look to the people and is available at industry leading prices. 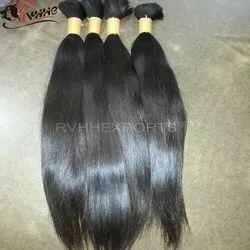 We Are Leading Preparer of Indian Remy Virgin Unprocessed 9a Human Hair We Supply to Sell Wholesale Indian Hair in India Without Any Mixing. This Hair is Authentic, Remy Virgin Human Hair. We Offer to Sell Low Prices in the Market. We Sell High Quality Indian Natural Hair With Natural Color. This Natural Color Hair Can Be Dye and Bleach to Change the Color of the Hair. It’s Available in 10 to 30 Inch Hair Lengths. It is 100 % Temple Raw Hair. These Hairs Can Be Easily Restyled. It is Natural Human Hair With Natural Shine and Smoothness. 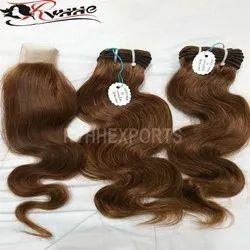 We are leading manufacturer of Unprocessed Indian Hair Weft We supply to sell wholesale Indian hair in India without any mixing. This hair is authentic, remy virgin human hair. We offer to sell low prices in the market. We sell high quality Indian natural hair with natural color. This natural color hair can be dye and bleach to change the color of the hair. It’s available in 10 to 30 inch hair lengths. It is 100 % temple raw hair. These hairs can be easily restyled. It is natural human hair with natural shine and smoothness. We are leading manufacturer of natural wavy temple hair extension. We supply to sell wholesale Indian hair in India without any mixing. This hair is authentic, remy virgin human hair. We offer to sell low prices in the market. We sell high quality Indian natural hair with natural color. This natural color hair can be dye and bleach to change the color of the hair. It’s available in 10 to 30 inch hair lengths. It is 100 % temple raw hair. These hairs can be easily restyled. It is natural human hair with natural shine and smoothness. 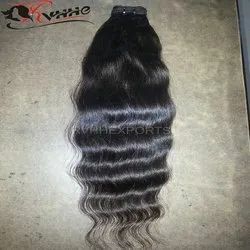 We are leading manufacturer of Virgin Temple Human HairWe supply to sell wholesale Indian hair in India without any mixing. This hair is authentic, remy virgin human hair. We offer to sell low prices in the market. We sell high quality Indian natural hair with natural color. This natural color hair can be dye and bleach to change the color of the hair. It’s available in 10 to 30 inch hair lengths. It is 100 % temple raw hair. These hairs can be easily restyled. It is natural human hair with natural shine and smoothness. We are leading manufacturer of Natural Virgin Indian Hair We supply to sell wholesale Indian hair in India without any mixing. This hair is authentic, remy virgin human hair. We offer to sell low prices in the market. We sell high quality Indian natural hair with natural color. This natural color hair can be dye and bleach to change the color of the hair. It’s available in 10 to 30 inch hair lengths. It is 100 % temple raw hair. These hairs can be easily restyled. It is natural human hair with natural shine and smoothness. We are highly acknowledged organization in the domain, engaged in offering high quality Temple Indian Hair. 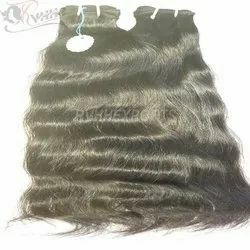 The provided hair is process by using the natural hair and employing advanced tehniques in sync with the market requirements. As well, this hair is highly appreciated by our clients owing to natural shine, smooth texture and long lasting finish. We offer this hair in bulk order also at reasonable rates. People donate their hair in the temple in the faith of the god.This is the best quality hair. The hair is taken out directly from the scalp by shaving the head. Care is taken to remove the very short hair, with the longer hair, found in different hair length, giving a ponytail-like appearance.Indian human hair has its own inherent advantages it is simultaneously thin, shiny and strong. This is Indian temple super wavy human hair. We Are Leading Preparer of Indian Natural Virgin Hair Extension We Supply to Sell Wholesale Indian Hair in India Without Any Mixing. This Hair is Authentic, Remy Virgin Human Hair. We Offer to Sell Low Prices in the Market. We Sell High Quality Indian Natural Hair With Natural Color. This Natural Color Hair Can Be Dye and Bleach to Change the Color of the Hair. It’s Available in 10 to 30 Inch Hair Lengths. It is 100 % Temple Raw Hair. These Hairs Can Be Easily Restyled. It is Natural Human Hair With Natural Shine and Smoothness. 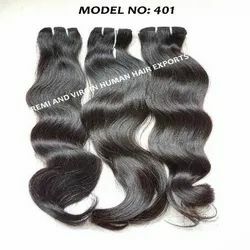 We are leading manufacturer of Virgin Remy Human Hair We supply to sell wholesale Indian hair in India without any mixing. This hair is authentic, remy virgin human hair. We offer to sell low prices in the market. We sell high quality Indian natural hair with natural color. This natural color hair can be dye and bleach to change the color of the hair. It’s available in 10 to 30 inch hair lengths. It is 100 % temple raw hair. These hairs can be easily restyled. It is natural human hair with natural shine and smoothness. 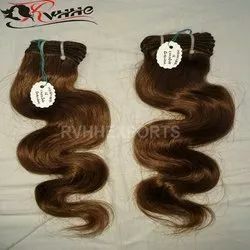 We are leading manufacturer of Virgin Straight Human Weft Hair. We supply to sell wholesale Indian hair in India without any mixing. This hair is authentic, remy virgin human hair. We offer to sell low prices in the market. We sell high quality Indian natural hair with natural color. This natural color hair can be dye and bleach to change the color of the hair. It’s available in 10 to 30 inch hair lengths. It is 100 % temple raw hair. These hairs can be easily restyled. It is natural human hair with natural shine and smoothness. We are leading manufacturer of Virgin Remy Human Hair Extension. We supply to sell wholesale Indian hair in India without any mixing. This hair is authentic, remy virgin human hair. We offer to sell low prices in the market. We sell high quality Indian natural hair with natural color. This natural color hair can be dye and bleach to change the color of the hair. It’s available in 10 to 30 inch hair lengths. It is 100 % temple raw hair. These hairs can be easily restyled. It is natural human hair with natural shine and smoothness. We are leading manufacturer of Virgin Human Hair Extension. We supply to sell wholesale Indian hair in India without any mixing. This hair is authentic, remy virgin human hair. We offer to sell low prices in the market. We sell high quality Indian natural hair with natural color. This natural color hair can be dye and bleach to change the color of the hair. It’s available in 10 to 30 inch hair lengths. It is 100 % temple raw hair. These hairs can be easily restyled. It is natural human hair with natural shine and smoothness. We are leading manufacturer of Unprocessed Virgin Indian Bulk HairWe supply to sell wholesale Indian hair in India without any mixing. This hair is authentic, remy virgin human hair. We offer to sell low prices in the market. We sell high quality Indian natural hair with natural color. This natural color hair can be dye and bleach to change the color of the hair. It’s available in 10 to 30 inch hair lengths. It is 100 % temple raw hair. These hairs can be easily restyled. It is natural human hair with natural shine and smoothness. Packaging Type Poly Bag,You Can Put Your Transparent Company Logo in Transparent Poly Bag Very Easily. 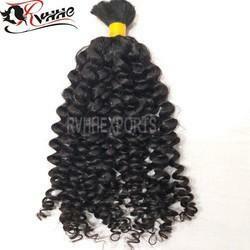 We Are Leading Preparer of Virgin Wavy Hairwe Supply to Sell Wholesale Indian Hair in India Without Any Mixing. This Hair is Authentic, Remy Virgin Human Hair. We Offer to Sell Low Prices in the Market. We Sell High Quality Indian Natural Hair With Natural Color. This Natural Color Hair Can Be Dye and Bleach to Change the Color of the Hair. It’s Available in 10 to 30 Inch Hair Lengths. It is 100 % Temple Raw Hair. These Hairs Can Be Easily Restyled. It is Natural Human Hair With Natural Shine and Smoothness. 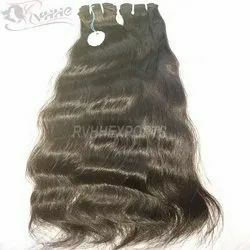 We are leading manufacturer of Natural Remy Virgin Indian Hair We supply to sell wholesale Indian hair in India without any mixing. This hair is authentic, remy virgin human hair. We offer to sell low prices in the market. We sell high quality Indian natural hair with natural color. This natural color hair can be dye and bleach to change the color of the hair. It’s available in 10 to 30 inch hair lengths. It is 100 % temple raw hair. These hairs can be easily restyled. It is natural human hair with natural shine and smoothness. We are leading manufacturer of Indian Bulk Virgin Hair.We supply to sell wholesale Indian hair in India without any mixing. This hair is authentic, remy virgin human hair. We offer to sell low prices in the market. We sell high quality Indian natural hair with natural color. This natural color hair can be dye and bleach to change the color of the hair. It’s available in 10 to 30 inch hair lengths. It is 100 % temple raw hair. These hairs can be easily restyled. It is natural human hair with natural shine and smoothness. We are leading manufacturer of pure Indian virgin hair weft. we supply to sell wholesale Indian hair in india without any mixing. This hair is authentic, remy virgin human hair. We offer to sell low prices in the market. We sell high quality indian natural hair with natural color. This natural color hair can be dye and bleach to change the color of the hair. It’s available in 10 to 30 inch hair lengths. It is 100 % temple raw hair. These hairs can be easily restyled. It is natural human hair with natural shine and smoothness. There is no shedding in the extension and also we make double weft and use glue to make sure zero % shedding. We are leading manufacturer of Virgin Hair. We supply to sell wholesale Indian hair in India without any mixing. This hair is authentic, remy virgin human hair. We offer to sell low prices in the market. We sell high quality Indian natural hair with natural color. This natural color hair can be dye and bleach to change the color of the hair. It’s available in 10 to 30 inch hair lengths. It is 100 % temple raw hair. These hairs can be easily restyled. It is natural human hair with natural shine and smoothness. Packaging Details: We use transparent poly bag , you can place you company logo in this. We are leading manufacturer of Indian Virgin Human Hair. We supply to sell wholesale Indian hair in India without any mixing. This hair is authentic, remy virgin human hair. We offer to sell low prices in the market. We sell high quality Indian natural hair with natural color. This natural color hair can be dye and bleach to change the color of the hair. It’s available in 10 to 30 inch hair lengths. It is 100 % temple raw hair. These hairs can be easily restyled. It is natural human hair with natural shine and smoothness. We are the manufacturer and Exporter of Virgin Human Hair. Our range of Virgin Human Hair is accepted on global scales. Virgin Human Hair enhance natural appear of the hair style. We supply to sell Virgin Human Hair without any mixing. This hair is authentic, remy human hair. We offer to sell low prices in the market. We sell high quality Indian natural hair with natural color. This natural color hair can be dye and bleach to change the color of the hair. It’s available in 8 to 30 Inch hair lengths. This is beautiful Indian Remy hair style extensions. 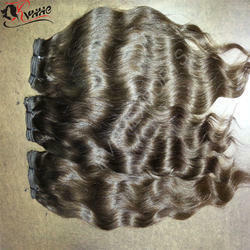 It’s very famous for natural wav style and for silky smooth texture. These hairs are 100% tangle free natural human hair. 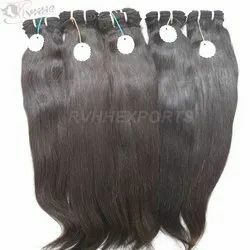 We are leading manufacturer of Virgin Remy HairWe supply to sell wholesale Indian hair in India without any mixing. This hair is authentic, remy virgin human hair. We offer to sell low prices in the market. We sell high quality Indian natural hair with natural color. This natural color hair can be dye and bleach to change the color of the hair. It’s available in 10 to 30 inch hair lengths. It is 100 % temple raw hair. These hairs can be easily restyled. It is natural human hair with natural shine and smoothness. 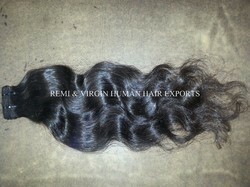 We are leading manufacturer of Remy Virgin Hair. We supply to sell wholesale Indian hair in India without any mixing. This hair is authentic, remy virgin human hair. We offer to sell low prices in the market. We sell high quality Indian natural hair with natural color. This natural color hair can be dye and bleach to change the color of the hair. It’s available in 10 to 30 inch hair lengths. It is 100 % temple raw hair. These hairs can be easily restyled. It is natural human hair with natural shine and smoothness. We are leading manufacturer of Natural Color Virgin Wavy Human HairWe supply to sell wholesale Indian hair in India without any mixing. This hair is authentic, remy virgin human hair. We offer to sell low prices in the market. We sell high quality Indian natural hair with natural color. This natural color hair can be dye and bleach to change the color of the hair. It’s available in 10 to 30 inch hair lengths. It is 100 % temple raw hair. These hairs can be easily restyled. It is natural human hair with natural shine and smoothness. 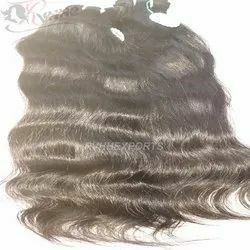 We are leading manufacturer of Remy Indian Virgin Hair We supply to sell wholesale Indian hair in India without any mixing. This hair is authentic, remy virgin human hair. We offer to sell low prices in the market. We sell high quality Indian natural hair with natural color. This natural color hair can be dye and bleach to change the color of the hair. It’s available in 10 to 30 inch hair lengths. It is 100 % temple raw hair. These hairs can be easily restyled. It is natural human hair with natural shine and smoothness. 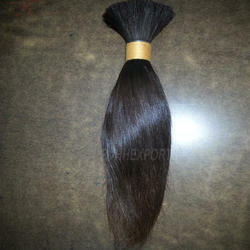 We Are Leading Preparer of Virgin Human Hairwe Supply to Sell Wholesale Indian Hair in India Without Any Mixing. This Hair is Authentic, Remy Virgin Human Hair. We Offer to Sell Low Prices in the Market. We Sell High Quality Indian Natural Hair With Natural Color. This Natural Color Hair Can Be Dye and Bleach to Change the Color of the Hair. It’s Available in 10 to 30 Inch Hair Lengths. It is 100 % Temple Raw Hair. These Hairs Can Be Easily Restyled. It is Natural Human Hair With Natural Shine and Smoothness. 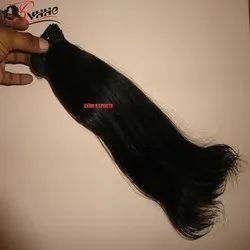 We are leading manufacturer ofVirgin Human HairWe supply to sell wholesale Indian hair in India without any mixing. This hair is authentic, remy virgin human hair. We offer to sell low prices in the market. We sell high quality Indian natural hair with natural color. This natural color hair can be dye and bleach to change the color of the hair. It’s available in 10 to 30 inch hair lengths. It is 100 % temple raw hair. These hairs can be easily restyled. It is natural human hair with natural shine and smoothness. 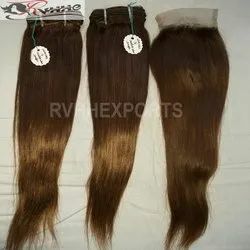 We are leading manufacturer of Remy Virgin Hair ExtensionWe supply to sell wholesale Indian hair in India without any mixing. This hair is authentic, remy virgin human hair. We offer to sell low prices in the market. We sell high quality Indian natural hair with natural color. This natural color hair can be dye and bleach to change the color of the hair. It’s available in 8 to 30 inch hair lengths. It is 100 % temple raw hair. These hairs can be easily restyled. It is natural human hair with natural shine and smoothness. We are leading manufacturer of Indian Virgin Remy Straight Human Hair. We supply to sell wholesale Indian hair in India without any mixing. This hair is authentic, remy virgin human hair. We offer to sell low prices in the market. We sell high quality Indian natural hair with natural color. This natural color hair can be dye and bleach to change the color of the hair. It's available in 8 to 30 inch hair lengths. It is 100 % temple raw hair. These hairs can be easily restyled. It is natural human hair with natural shine and smoothness. We Are Leading Preparer of Temple Natural Wavy Virgin Unprocessed Hairwe Supply to Sell Wholesale Indian Hair in India Without Any Mixing. This Hair is Authentic, Remy Virgin Human Hair. We Offer to Sell Low Prices in the Market. We Sell High Quality Indian Natural Hair With Natural Color. This Natural Color Hair Can Be Dye and Bleach to Change the Color of the Hair. It’s Available in 10 to 30 Inch Hair Lengths. It is 100 % Temple Raw Hair. These Hairs Can Be Easily Restyled. It is Natural Human Hair With Natural Shine and Smoothness. We are manufacturer of best quality Unprocessed Virgin Human hair. 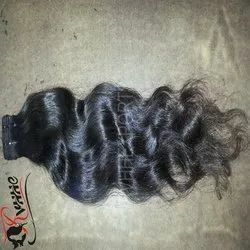 This is natural wavy silky smooth Indian human hair. You can dye this hair because its 100% natural color human hair. This is most beautiful natural wavy style. It is cuticle correct unprocessed well aligned in same direction hair. This is 100% tangle free natural hair. There is no hair falling in the weft. We make double strong and beautiful weft. 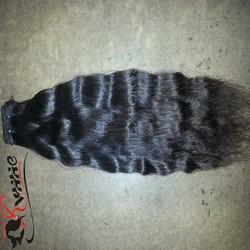 This virgin hair is available in machine weft and bulk hair. It's available in 10 to 30 Inch hair length. 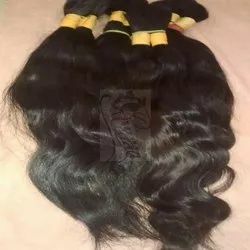 we are leading manufacturer of indian 100% virgin temple hairwe supply to sell wholesale indian hair in india without any mixing. This hair is authentic, remy virgin human hair. We offer to sell low prices in the market. We sell high quality indian natural hair with natural color. This natural color hair can be dye and bleach to change the color of the hair. It’s available in 10 to 30 inch hair lengths. It is 100 % temple raw hair. These hairs can be easily restyled. It is natural human hair with natural shine and smoothness. 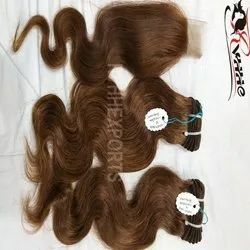 we are leading manufacturer of 100 percent pure virgin indian temple hairwe supply to sell wholesale indian hair in india without any mixing. This hair is authentic, remy virgin human hair. We offer to sell low prices in the market. We sell high quality indian natural hair with natural color. This natural color hair can be dye and bleach to change the color of the hair. It’s available in 10 to 30 inch hair lengths. It is 100 % temple raw hair. These hairs can be easily restyled. It is natural human hair with natural shine and smoothness. We are leading manufacturer of Raw Indian Temple Hair. We supply to sell wholesale Indian hair in India without any mixing. This hair is authentic, Remy virgin human hair. We offer to sell low prices in the market. We sell high quality Indian natural hair with natural color. This natural color hair can be dye and bleach to change the color of the hair. It’s available in 10 to 30 inch hair lengths. It is 100 % temple raw hair. These hairs can be easily restyled. It is natural human hair with natural shine and smoothness.